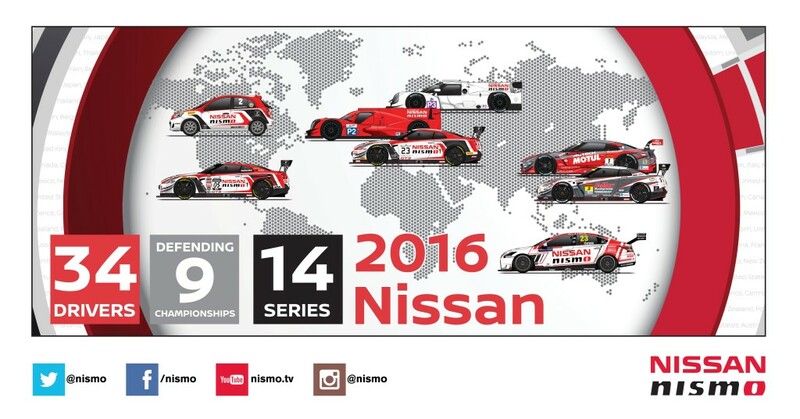 I have been produced a large number of vector illustrations for Nissan and their NISMO brand in the past couple of years. 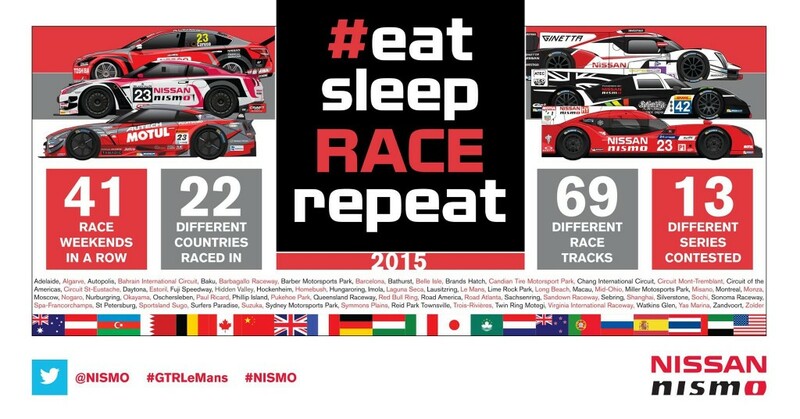 This has included announcements for their Le Mans P1 program, various success and for yearly motorsport announcements. 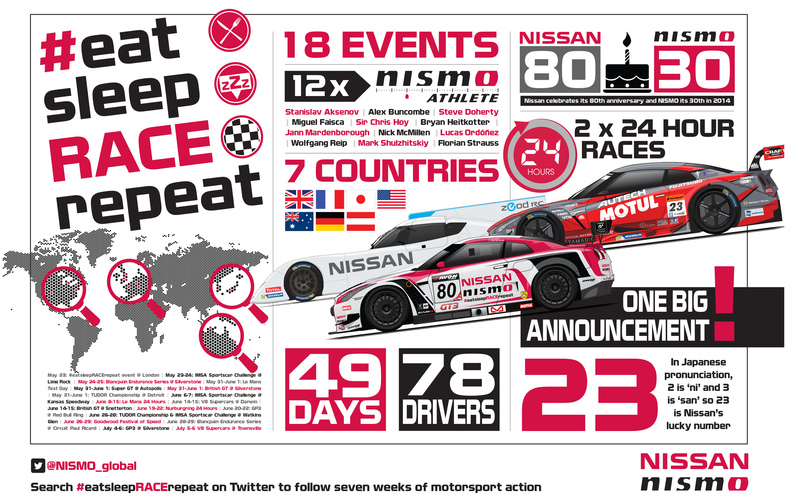 The majority of these illustrations are incorporated into infographics, produced by Paul Ryan Media. 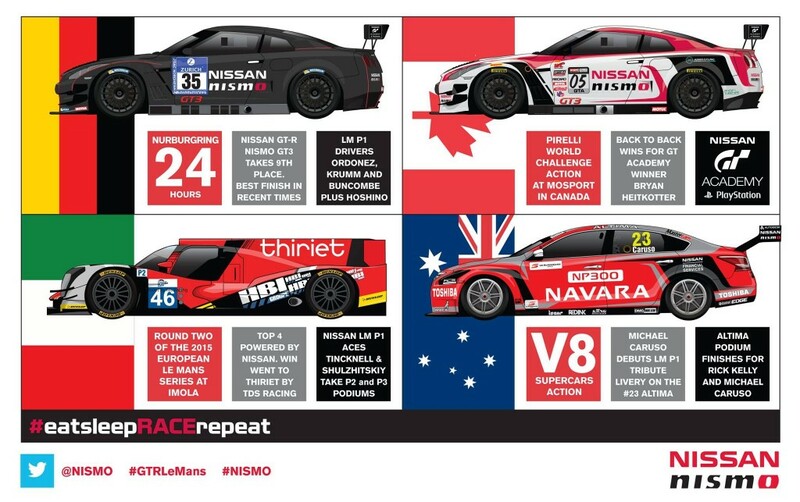 These are good example of a more detail vehicle illustration compared to the traditional Spotter Guide art. 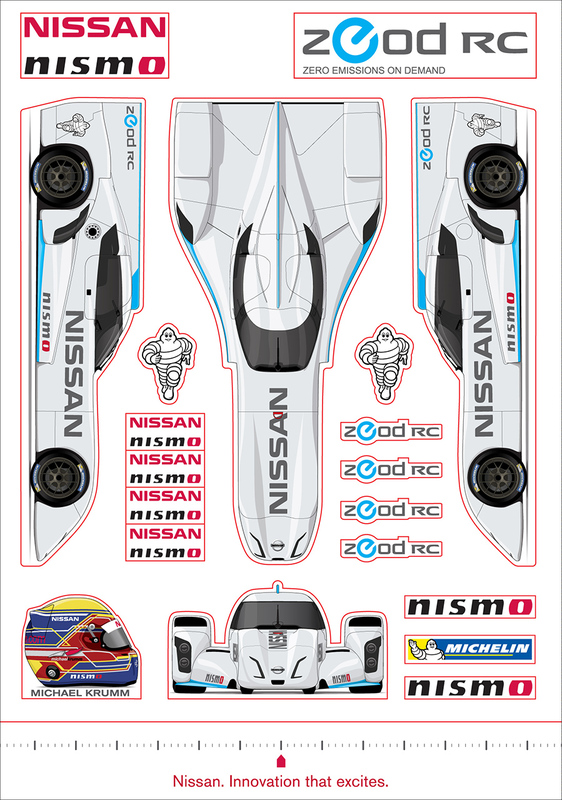 The Nissan ZEOD RC illustration had previously been drawn up for a sticker at the Fuji round of the 2013 WEC championship. 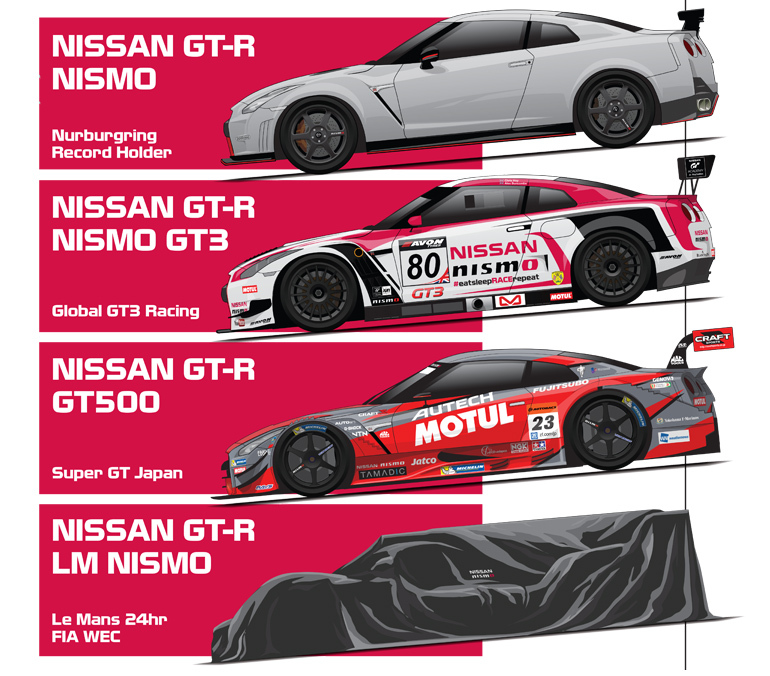 An additional image was released a few days later as part of the press pack showing the four progressive stages of the GT-R line with the all-new LM P1 variant still covered up. 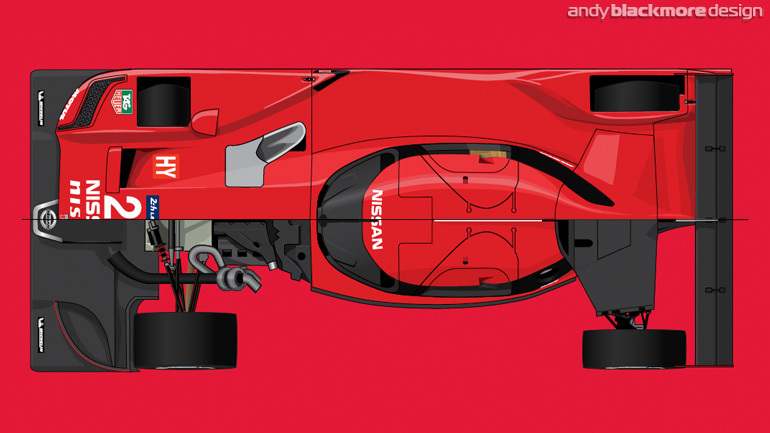 Was fun drawing up the covered up car knowing what was underneath! Had to be careful I didn’t give too much away, but still be proportionally and technically correct. 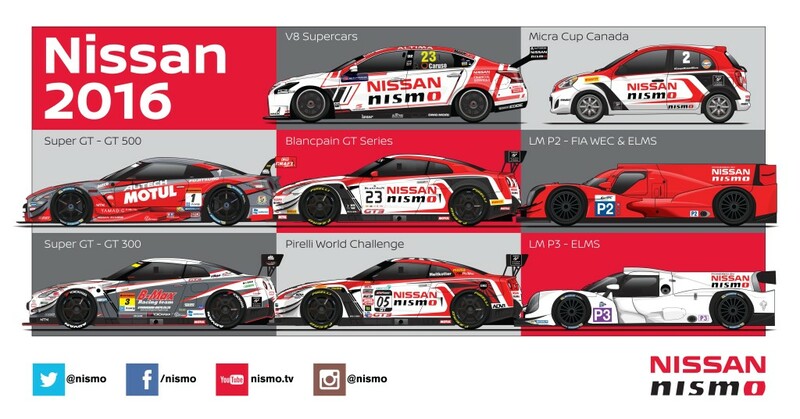 The illustrations were also used together as a header in the press pack and since been used elsewhere including Nismo Global’s Twitter account. 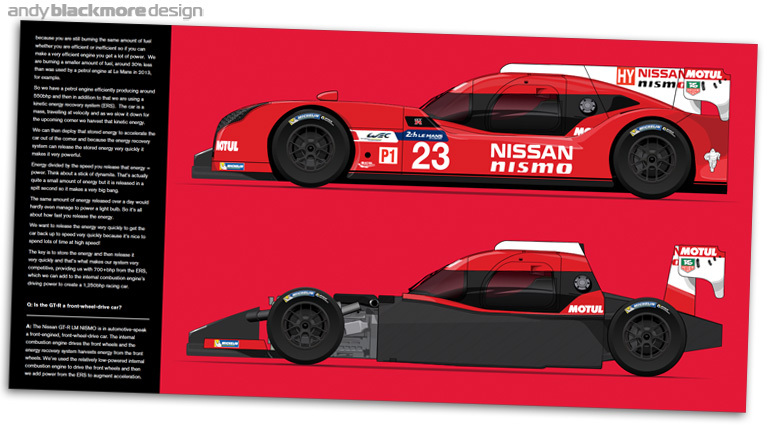 These Nissan powered prototypes were also used in the final pre-event press release, which you can download here. This is a great example how a small number of art pieces can be reused effectively to ensure your message is consistent. 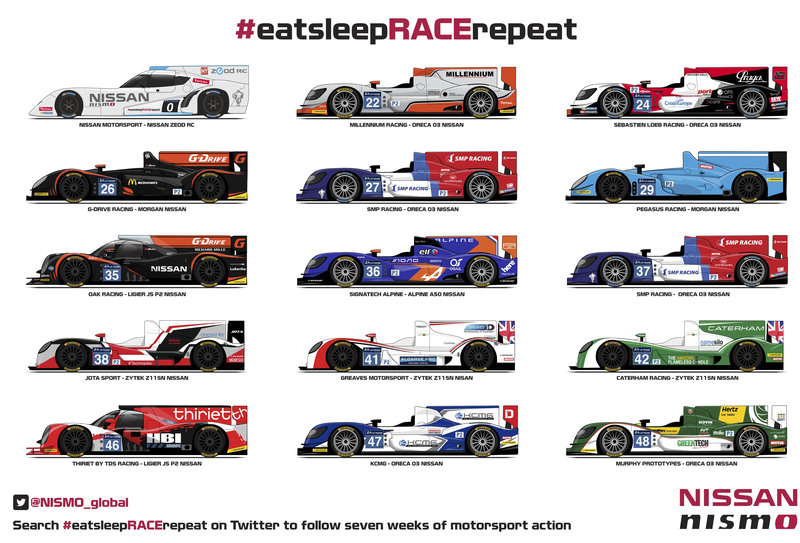 Please do not hesitate to get in touch if I can help to promote your brand. 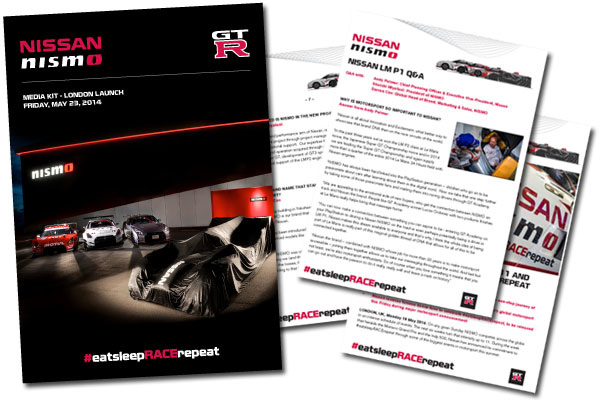 In 2015, I was contracted again by Paul Ryan Media and Nissan to supply artwork for their press pack for the release of the front engine GT-R LM NISMO prototype. 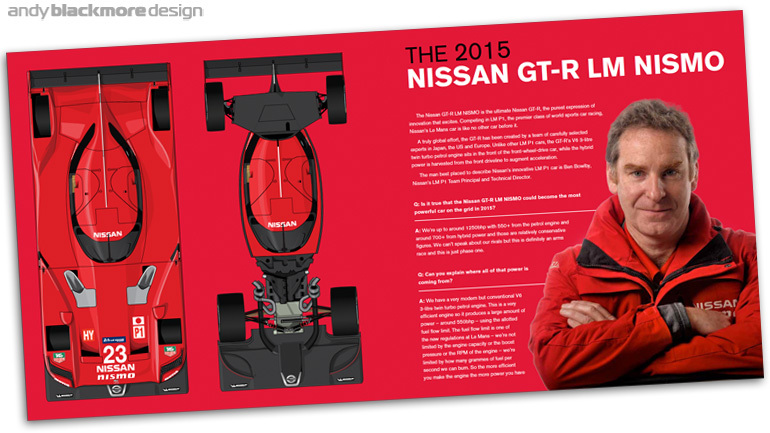 We deliberately disguised the GT-R LM NISMO so no one knew of its front engined layout! 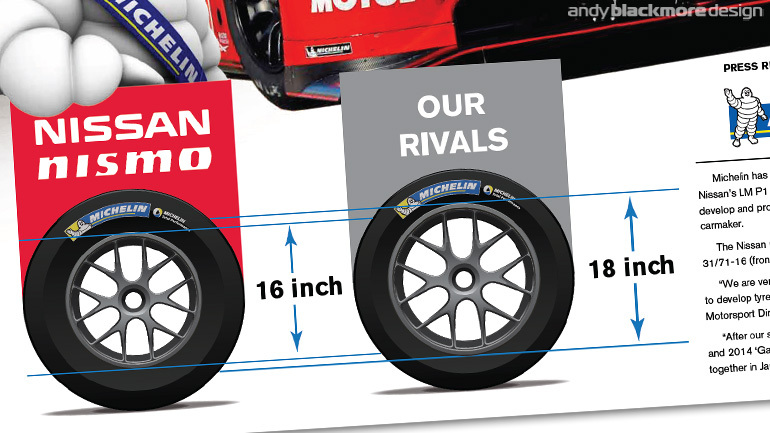 I even had Japanese magazines contacting me to query the front nose height on the above illustration! With the drawing office so busy, I had to work with isometric images and renders and photos to produce the images shown above. 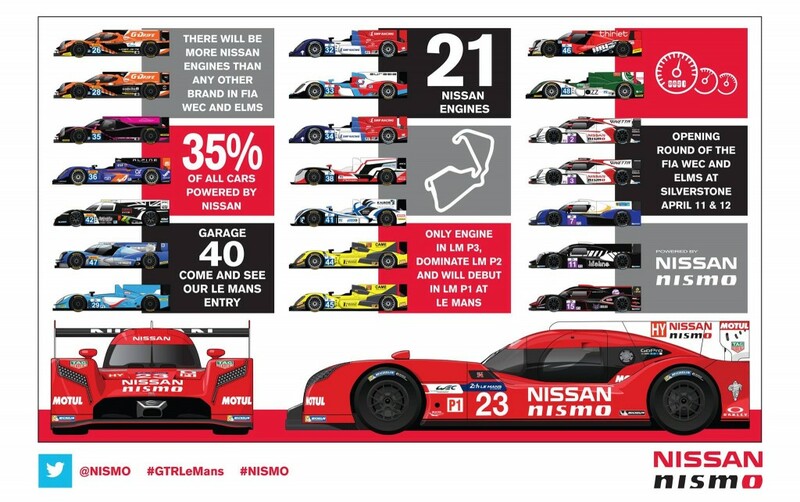 As the car is unlike any other prototype, they have decided to be very open about the car as few secrets would be relevant for rival teams. 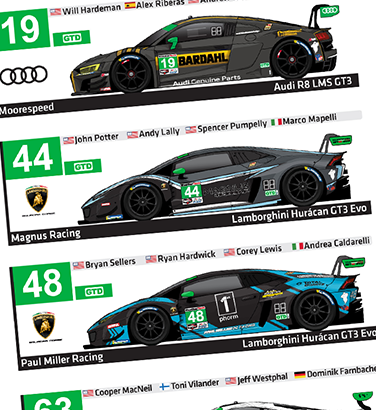 As the season progress, I provided car art for other Infograhics. 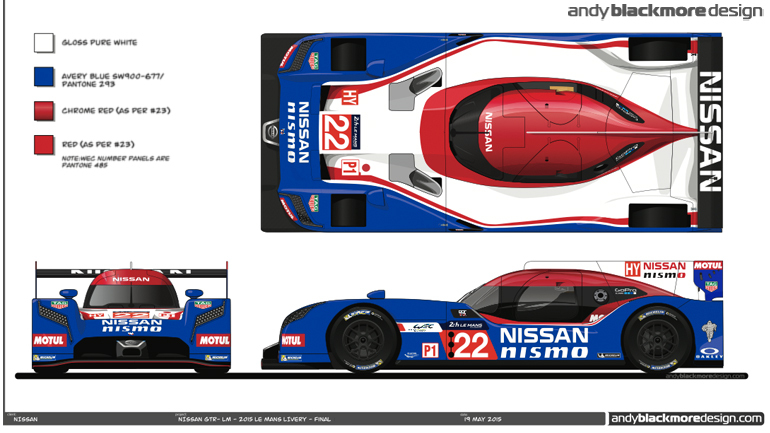 This also resulted in a retro livery design for Le Mans. and a successful weekend in May. I was also commissioned by Nissan Australia to create a vector illustration of the new Navara truck. 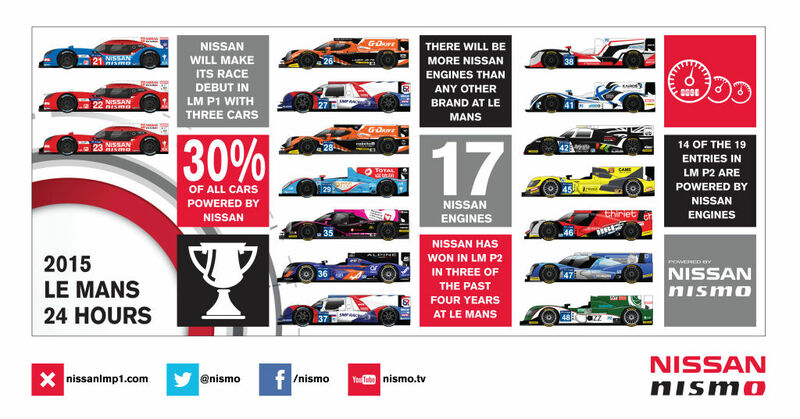 More Infographics come around Le Mans…. 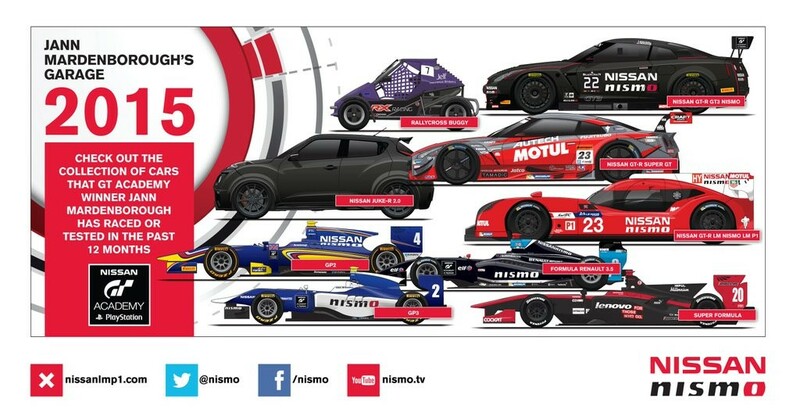 The main piece showed all the Nissan powered cars at Le Mans, including the retro liveried #21 GT-R NISMO which I designed. I also created a full set of helmet illustrations. 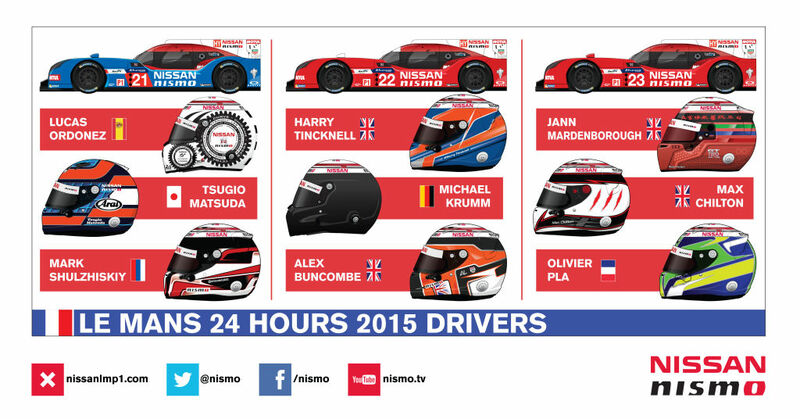 Ten (including test driver, Marc Gene) were drawn up following the pre Le Mans test. Some helmets had not been finished and reference was limited, so while this was extremely challenging, it was also very enjoyable. 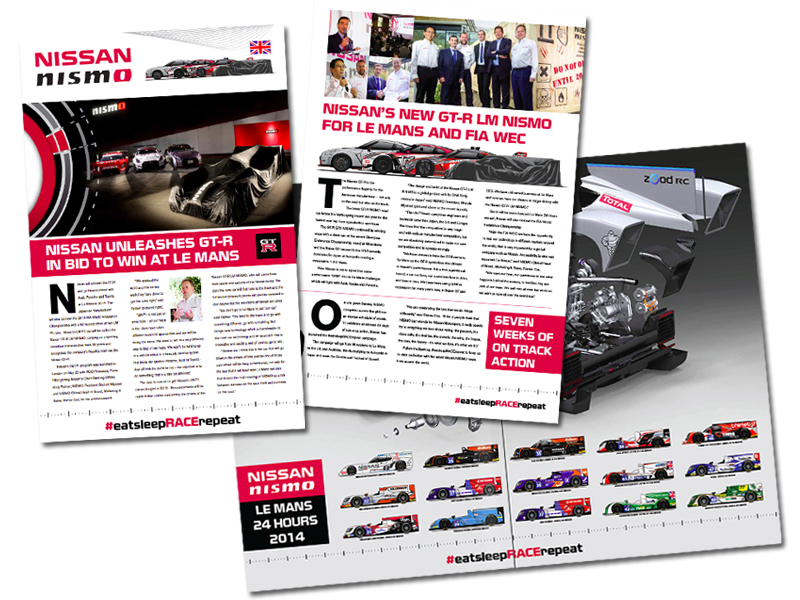 I also produced a range of car illustrations to show the variety of cars, GT Academy winner Jann Mardenborough raced during 2015. 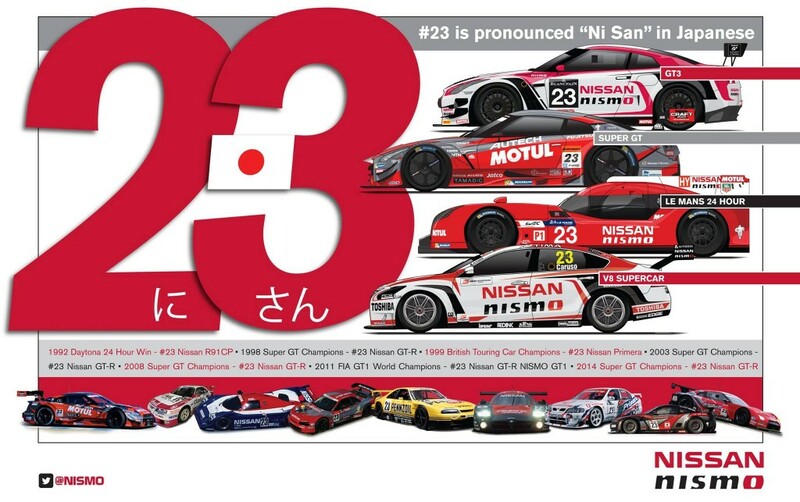 Many of these including the buggy and Japanese Super Formula were produced from limited photo reference. 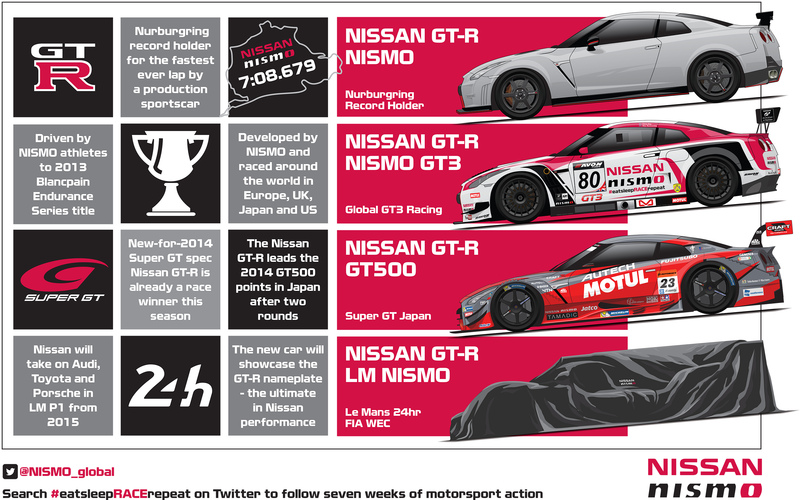 Nissan announced their 2016 race program as part of an online video and press release. 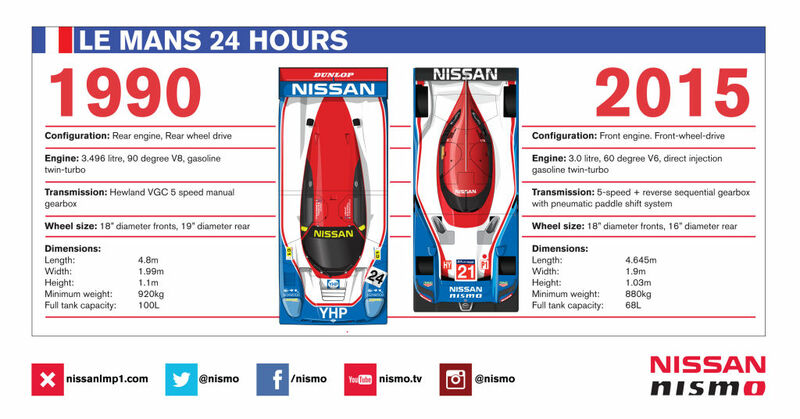 The release included these two infographics, produced by Paul Ryan, which included eight illustrations. Please do not hesitate to contact me if you would like high detail vector illustrations produced for your marketing program. 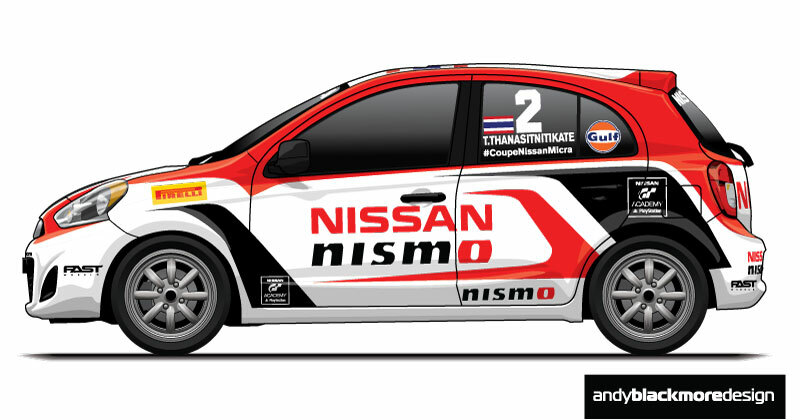 Remember, these are vector and can be scaled to infinity, so these illustrations could be used in a variety of media from small web buttons to graphics on the side of a truck and motor show stage.